The Despaigne Paradox strikes again. It’s a real thing. Realer than ghosts, goblins and ouija words. It’s as real as the Miami Death Fog. Last night the Despaigne Paradox was perpetrated by Clayton Richards. 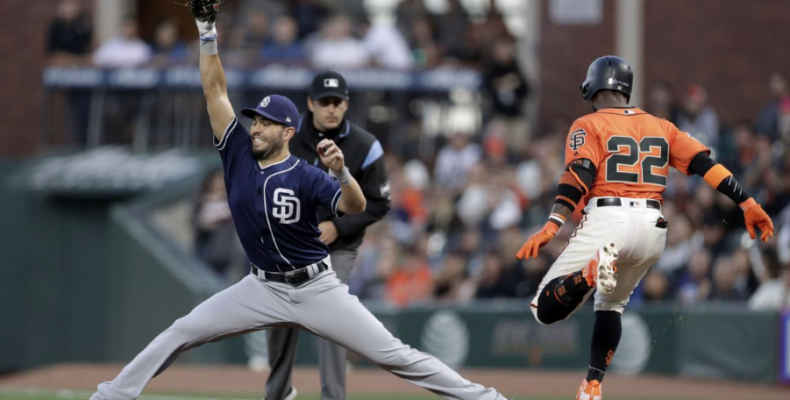 The Giants trailed by a run until the dastardly friars from San Diego blew the game open with three runs. No need to further analyze this game. BB9 and Joey Baseball sat the contest out. My theory is the skipper Mr. Bochy wanted to spare them the spectre and stench of the Despaigne Paradox, the gnashing of teeth, the wailing and the pulling of hair that comes with a defeat at the hands of a less than mediocre pitcher who suddenly transforms himself into Steve Carlton when facing our boys by the bay. Jordan Lyles faces Andrew Suarez at Willie Mays Field today at 1:05 PM Willie McCovey time.